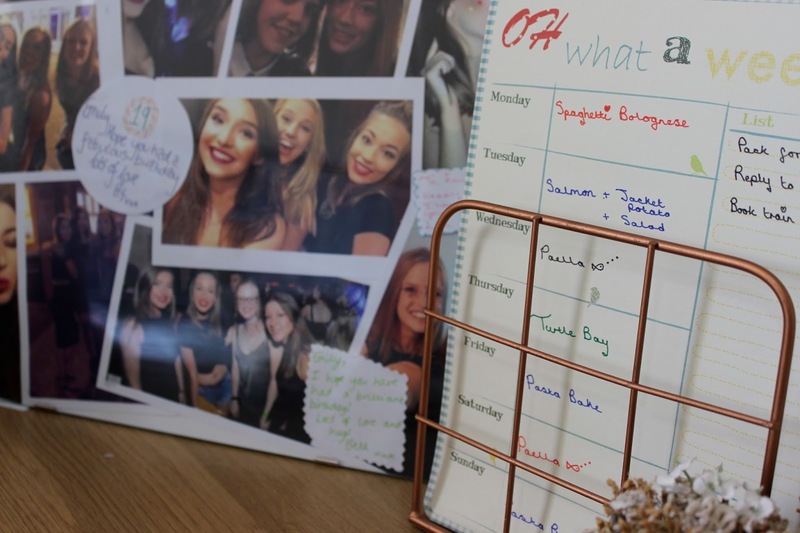 It's coming up to that time now where you've received your results and you're frantically running around homeware stores with the aim to hunt down every last kitchen utensil. The reality of it all is, is that you'll end up with a cupboard full of unused dishes and someone else's knives and forks. This time last year I was searching for every possible description about university life, however I soon realised that the answer can only be found through personal experience. With this post, I hope to answer some of my own questions that were floating around my head a year ago, and point some of you in the right direction too. It's fair to say that as soon as you're a confirmed university student, you and your parents minds are more than likely to go into overdrive. Endless checklists are going to be made about what you may or may not need and unfortunately you won't be certain of this until you have settled in. My advice is to not pack in excess; you will only need 2 sets of dishes, not an entire dining set etc. Always check with your university about what is provided. I'm certain that every year the kettle/toaster/iron scenario is debated. 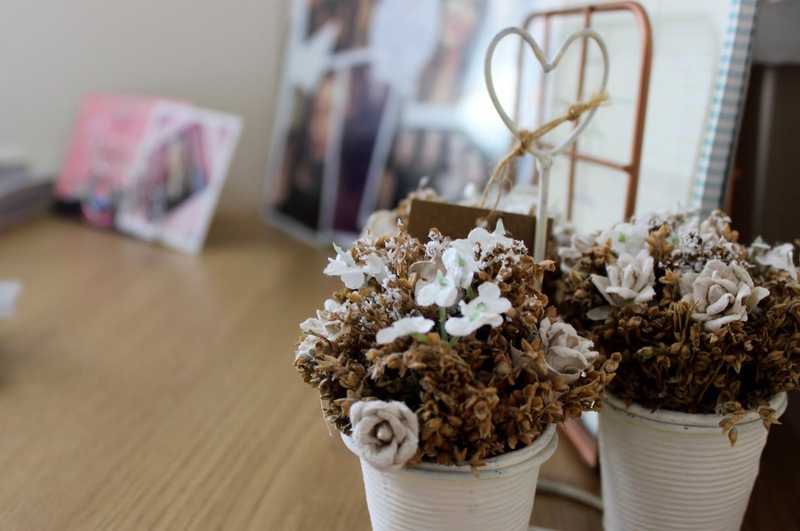 Leave these items until you have all moved in, as one flat member may have already taken one for the team. And if not, you can all explore your new town by taking a group trip to buy them. REMEMBER: your university city has shops too! The strongest piece of advice I can give to nervous/anxious freshers, is to follow every single page your university has on Facebook/Twitter. There's always a main page but often there are smaller sub pages which are more specific to your needs. For example: your freshers page, various societies, your halls, international students, events or local bars/clubs. Derby's 'Get More' page offered free trips to London, themed BBQs as well as local tours of the city. 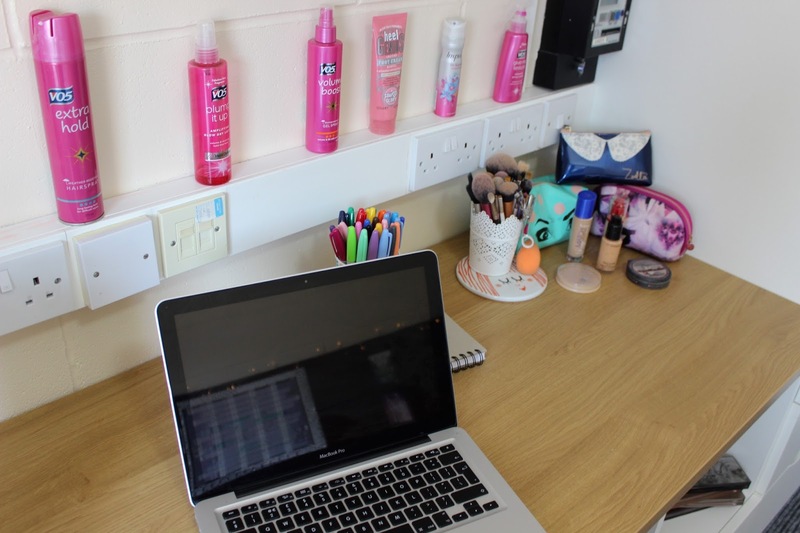 Most importantly, from following your accommodation page you can make a post to find your new flat mates (I did this as soon as I got my room number, so I found mine from March onwards). This allows you to set up a chat so you can get to know who you're living with and also lets you discuss any concerns you may have. I found this really helpful as it reminded me that we're all in the same boat. As you're growing up, more and more documents and important pieces of paper are sprung upon you. In my last moments before moving out, I bought myself a folder so that I could store all of these, this folder was literally my bible! I had various sections; Passport + photos, medical card, national insurance number, uni confirmation details, bank account documents, doctors notes etc. This was very handy on moving in day as a lot of these documents were needed in order to sign onto my course. Freshers is possibly the most talked about thing of university. Even if you're not a massive party animal and prefer catching up on your soaps than going out, you're more than likely to be converted at this point. If you've done the above and researched your university, you've possibly found out your freshers programme by now. If not, this is usually between 1-2 weeks of day/night events, from freshers fairs to various themed parties with your SU (Student's union) at local clubs. Do not be fooled by the Freshers wristband trick, it can work out to be a waste of money unless you attend all the events. But try and get involved with as much as you can, this is the perfect time to make new friends. BE WARNED you will have to attend lectures the next day. I got myself in a panic as I only had a handful of 'going out' outfits, but everyone completely forgets about what you wore the other night. 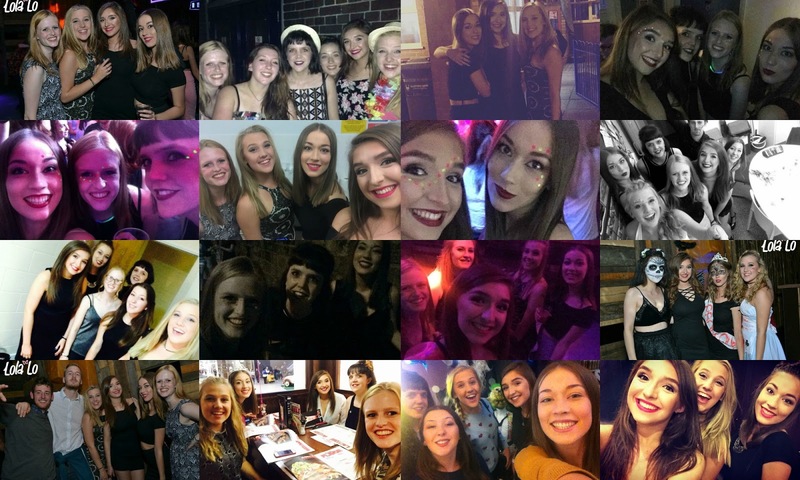 It is almost guaranteed that any outfit has the potential to be ruined during freshers, so be wise about wearing your favourite dress to a mosh pit. Actually, you don't need many clothes at all, student life is spent predominantly in pyjamas. Possibly a good one to follow after Freshers. The countdown begins for your student loan to come in. For some, this is the first time you'll see a large sum of money come into your bank account and it is important to not blow it otherwise you'll be starving up until Christmas. Everyone will have a different way of managing their money, it's up to you to find your preference. I made myself a termly calendar of the money I spent and saved each week as well as a running total of my loan that term. I divided the amount of weeks into my loan to work out a weekly budget. I roughly spent around £20 per week on food and used the rest to buy clothes or equipment etc. Do not worry about religiously sticking to this in your first few weeks, you're likely to be spending a fair bit on going out or stationery. This usually happens on moving in day in the main area of your University. You'll be able to find a stand where you can sign up to a permanent residency for the doctors - this is where your 'bible' comes handy. 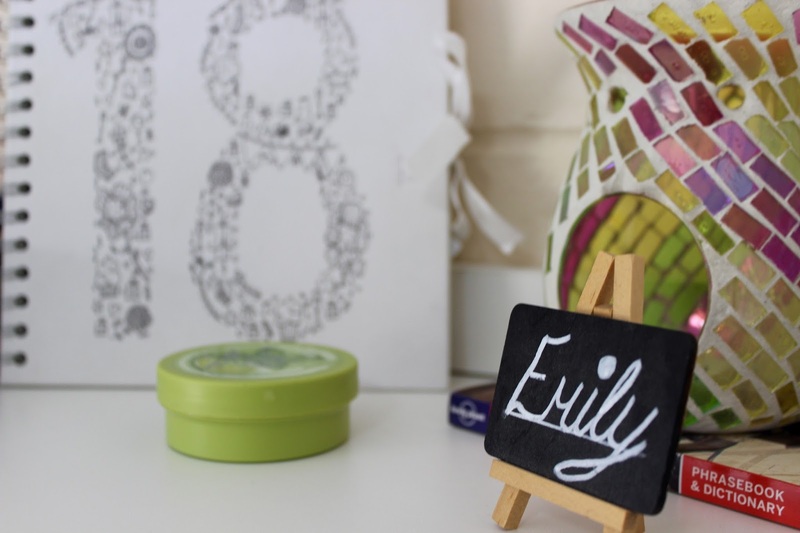 Also be aware that as soon as you turn 19 you will have to pay for your prescription, look out for a blue form for a HC2 certificate so that you can apply for free treatment (this will depend on your financial circumstances). Something I majorly regret from first year. Join any societies that may be of interest to you, it doesn't matter if you're a professional at it or not just give it a go. It's a great way to find people with a common interest and I believe they host great social nights too. I think the most repeated phrase I've heard in the last year is 'It's ok, first year doesn't count'. You may only need 40% to get into the next year but it's important to show your lecturers what you're capable of. Make sure you concentrate just as much on your studies as you do having fun. Balance is key. I'm forever told that university years are the best years of your life so ENJOY IT because it will go so fast. Get lots of pictures and videos so that you can laugh about these in many years to come. I hope you enjoyed another post of my uni series, see the previous post HERE. 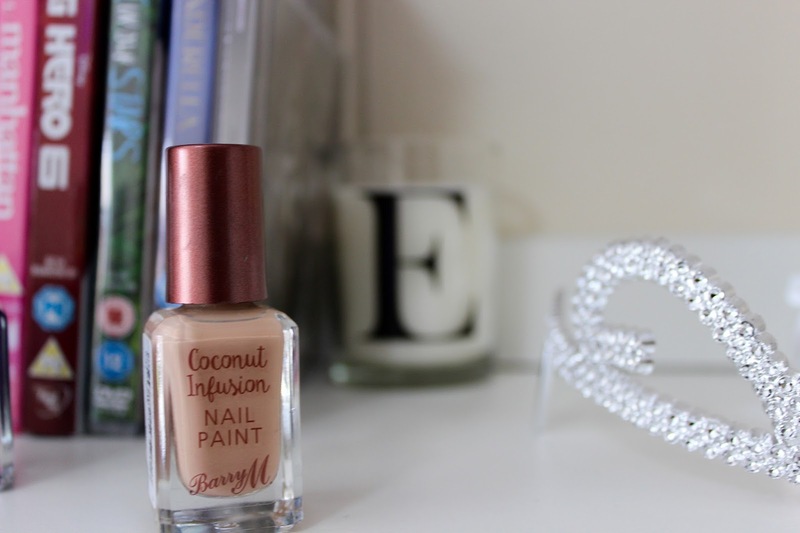 Uni | What's in my everyday bag? Bag: H&M, fairly large, long strap and short. 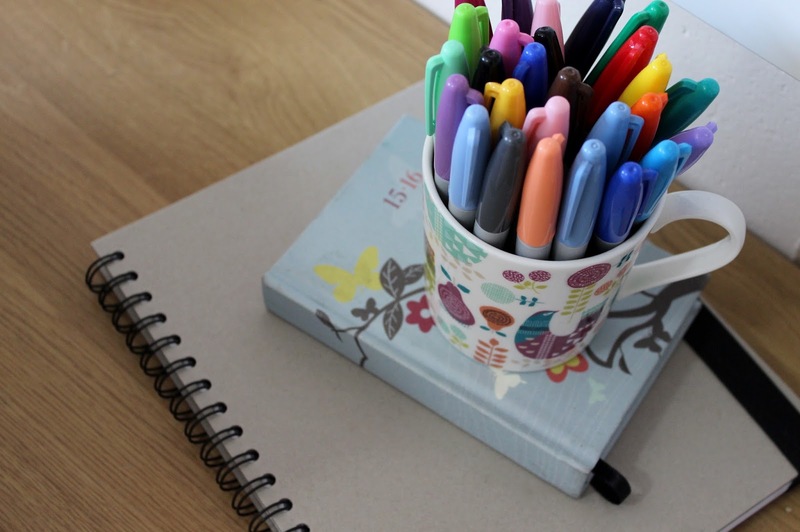 Divides into three sections which are handy to store different items in. 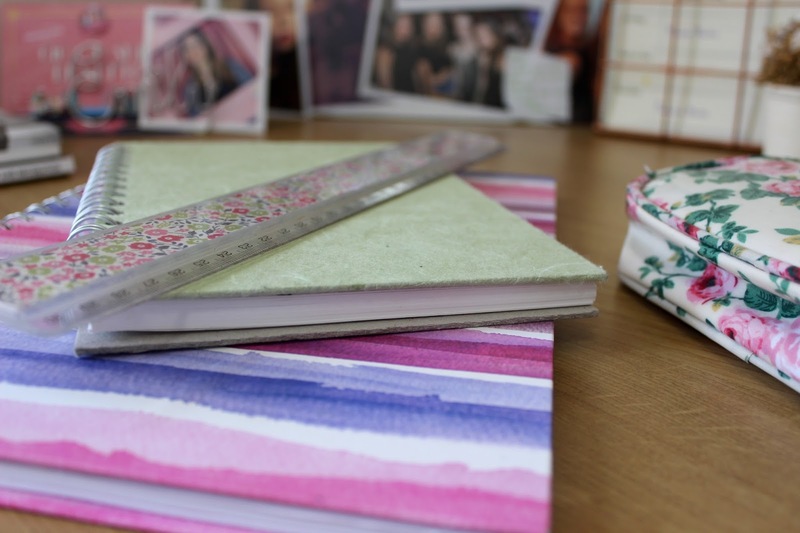 If you aren't aware, I study Textiles Design at university which means that by law, I have to have at least one sketchbook in my bag at all times. Your sketchbook is your own personal bible when it comes to a creative subject so ensure that you have this at all times. Depending on my timetable at uni, I will usually have a notebook in my bag to jot down any notes from a lecture. Occasionally I'll need it on a workshop day too but I usually use my sketchbook to make notes if needs be. Having a mid year planner has been so helpful for me ever since I started school. These run from July-July the following year and come in day to day views or week by week. I use this to write down any 'homework' from the day as well as deadlines and reminders. My pencil case changes day by day depending on my timetable. Most of the time I carry my art essentials in there which range from HB pencils to various fine liners. On my workshop days I carry an art caddy which includes a large number of art materials. An obvious essential in any bag. It usually makes a regular appearance at the Costa at uni when I need a latte to wake myself up during lectures! For the first time in a long time I began to make packed lunches for uni rather than rely on the canteen food. At uni you realise how cost effective this is, so I only have canteen food on the occasional day (usually when I've had a late night before). Here I've made up a pesto pasta. My course involves a lot of sit down practical work where I'm either drawing, knitting or typing away at an essay. It's often nice to listen to your music simultaneously. Probably rare these days to not find one of these within close proximity of a bag, however this is a key tool for any art student. As an art student it's a major requirement to document all the progress you're making within a project. VISUALS, a word I hear countless amounts of times at uni. Whatever you do with your pictures is up to you but it's also key to keep on top of your social media accounts as a designer. 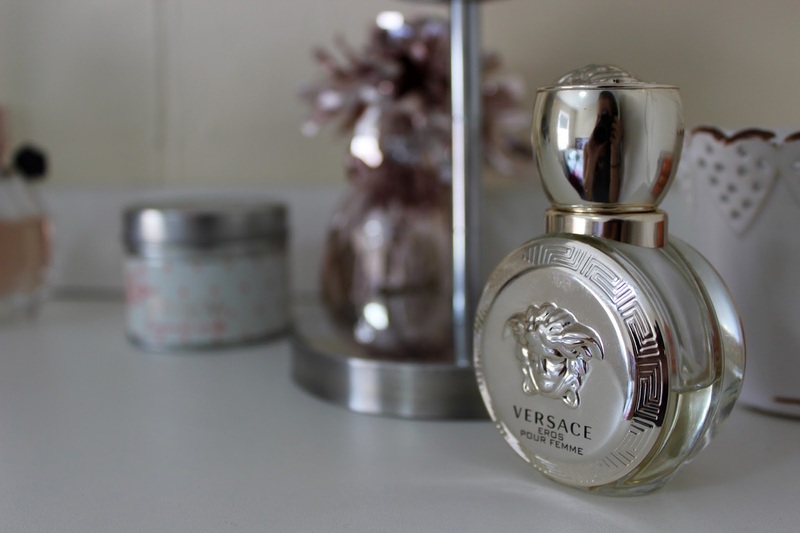 Slap on the wrist for completely slacking with my blog event posts - there's been so many photos piling up on my camera lately that I was too scared to sort through them haha. I've finally whittled hundreds of photos down to a select few! Some time ago I was invited along to the Summer Bloggers Hangout in London with my friend Katie. We entered the Strand Gallery and were immediately stunned by many different brands and their products. 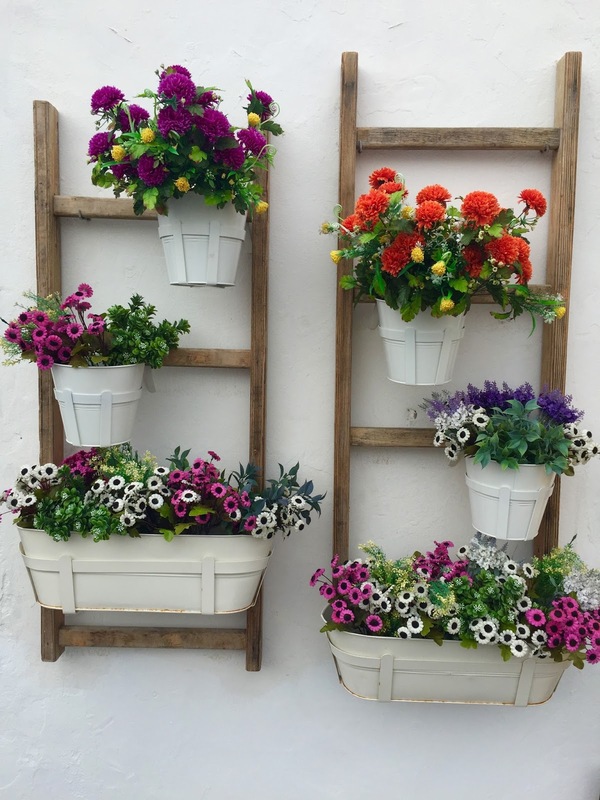 We were lured in by Sass & Belles stunning summer display of joy. Sass & Belle are a company that I love, they always seem to get it right. 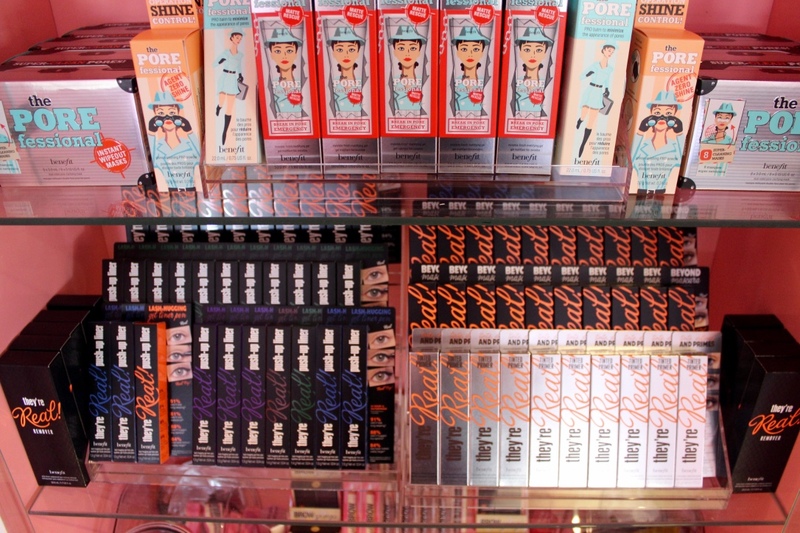 Their Summer collection is so fun and bright, and features the perfect array of summer colours. 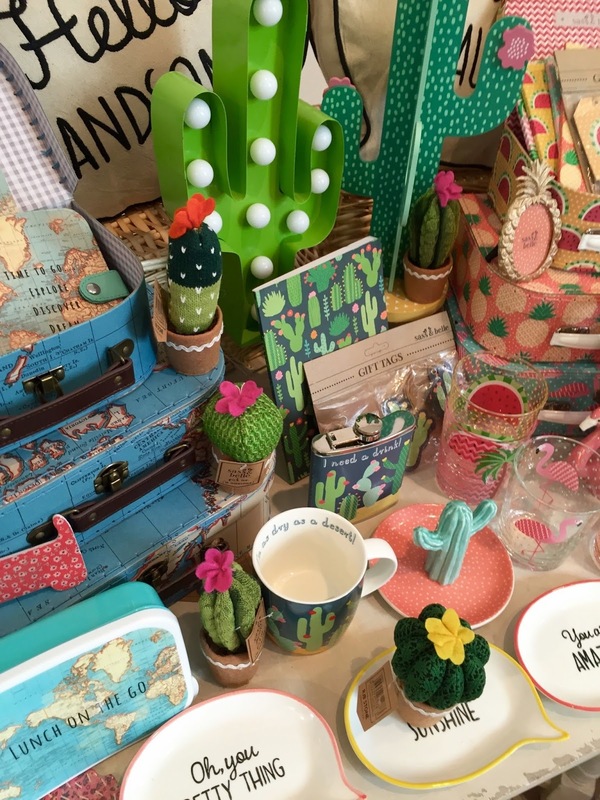 Cacti have been ridiculously on trend this year! No matter what shop I visit I can always guarantee a cacti will be featuring somewhere. I have been eyeing up the tropical glass tumblers for so long now (they are so popular amongst the blogger/youtuber community atm) and I was so pleased when one of the lovely ladies from Sass & Belle gifted me one! I was lucky enough to get the watermelon glass which I find so adorable. 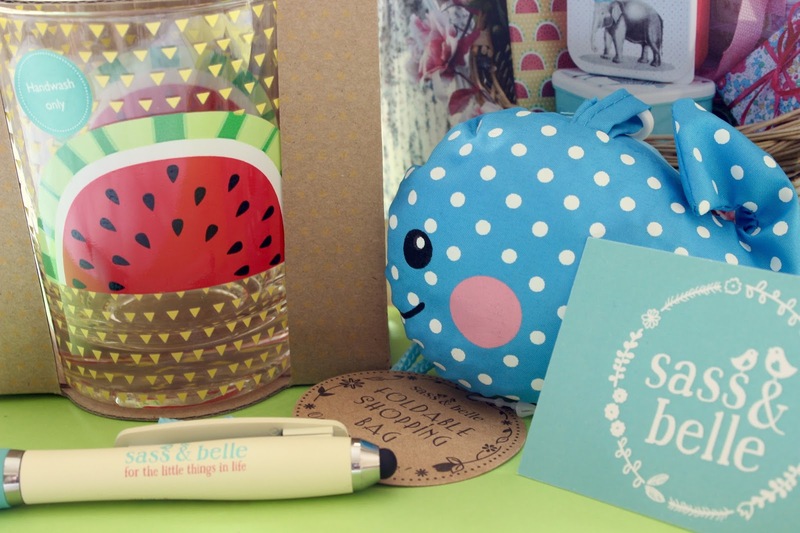 You can find the Tropical glasses for £7.50 on the Sass & Belle website. As well as the glass tumbler, I was also kindly gifted; a foldable shopping bag, parrot nail file, mini notebook and a pen. Have you ever seen a more amazing foldable bag in your life?! How cute is that whale!! Thank you to the girls over at Sass & Belle for these gifts! 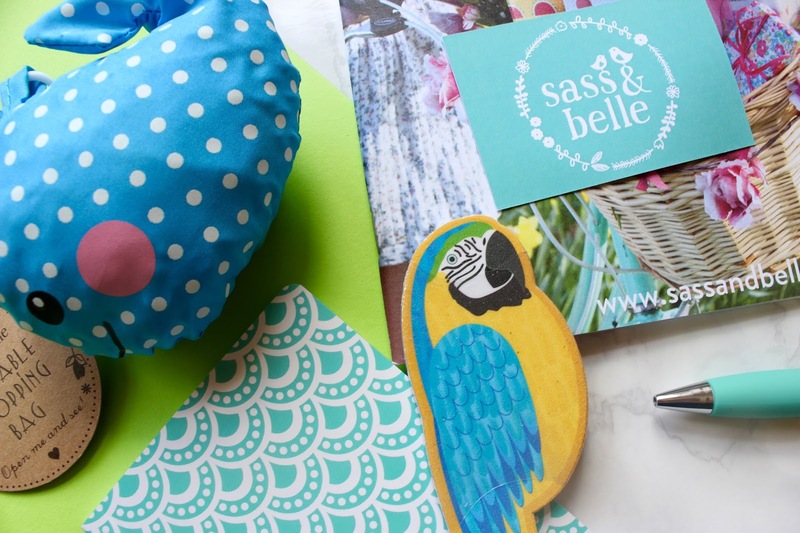 I think you can all definitely agree that Sass & Belle have smashed it with these products. 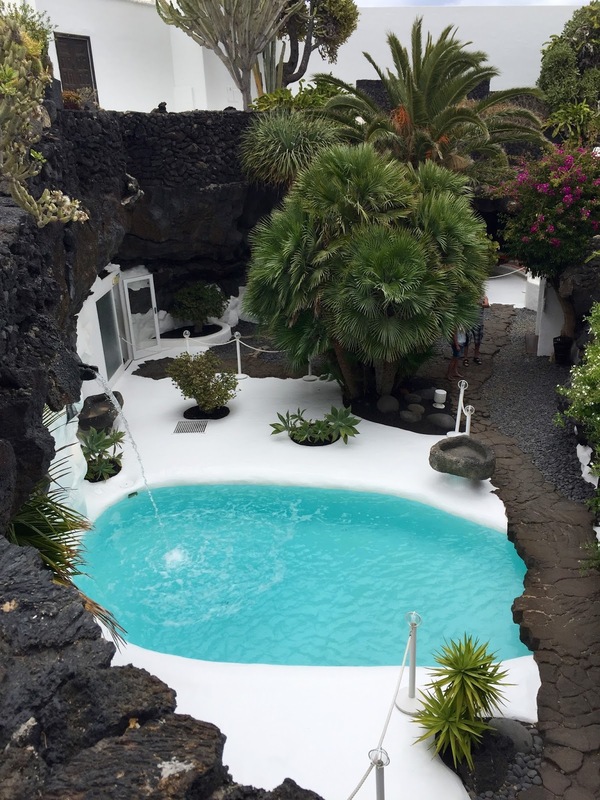 Having finally recovered from holiday blues I thought I'd share a few snaps on the blog from my holiday to Lanzarote. 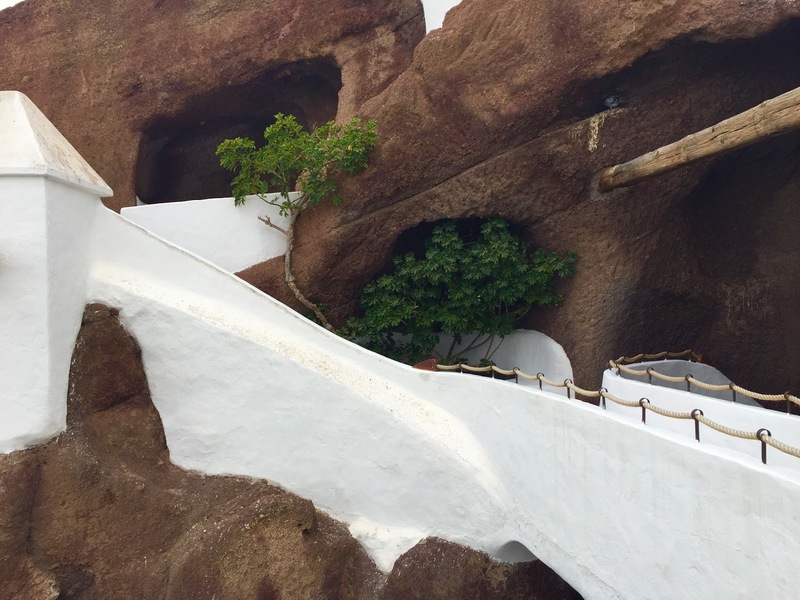 It was our fourth time back here and I was pleased to have explored more of the island as well as having met some amazing people who I hope to keep in contact with. 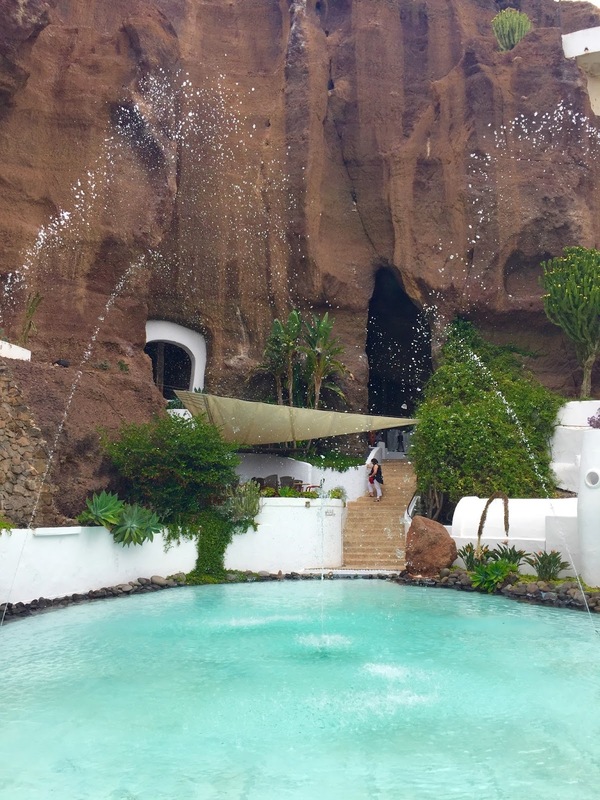 Lanzarote is surrounded by beautiful volcanic landscapes, blue oceans and of course some amazing towns by the coast and in land. 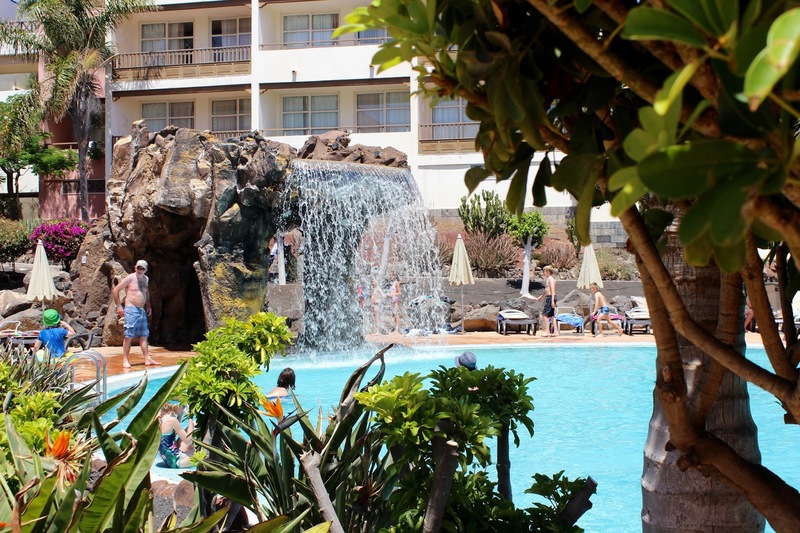 We stayed at the Rubicon Palace which was a 5 star hotel in Playa Blanca, if you get the chance to visit I'd definitely recommend this hotel especially if you're a family. 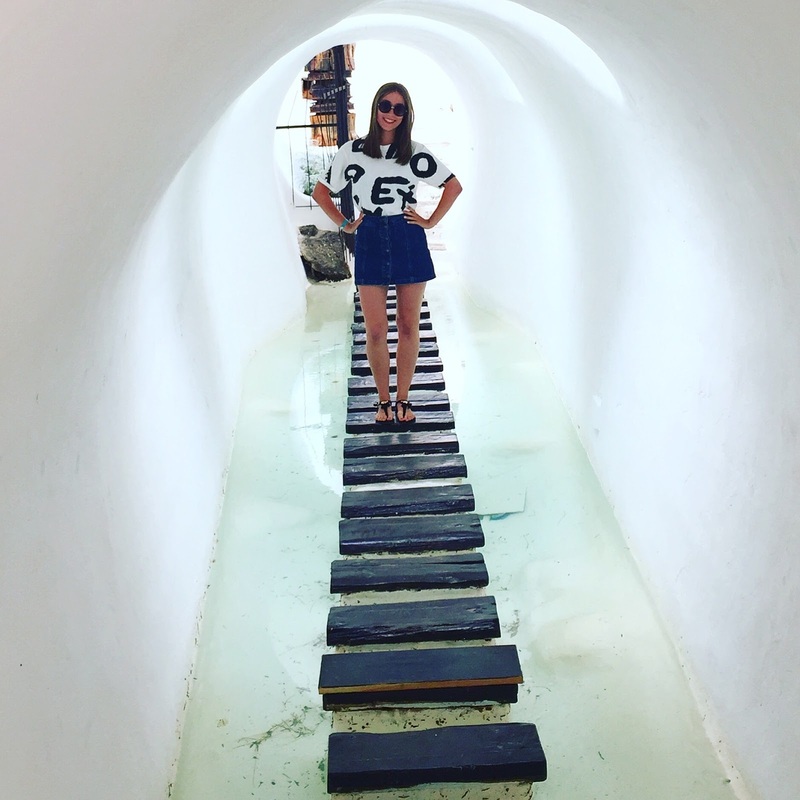 I've also included latest youtube video which was a vlog of my holiday. I had a lot of fun editing this so I hope you enjoy, I can't believe it's now over 1000 views now! 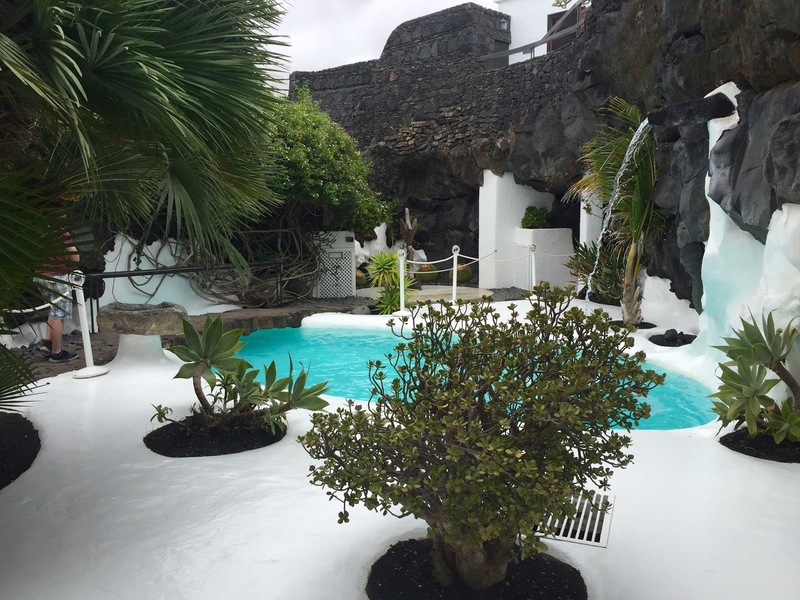 Have you been to Lanzarote? 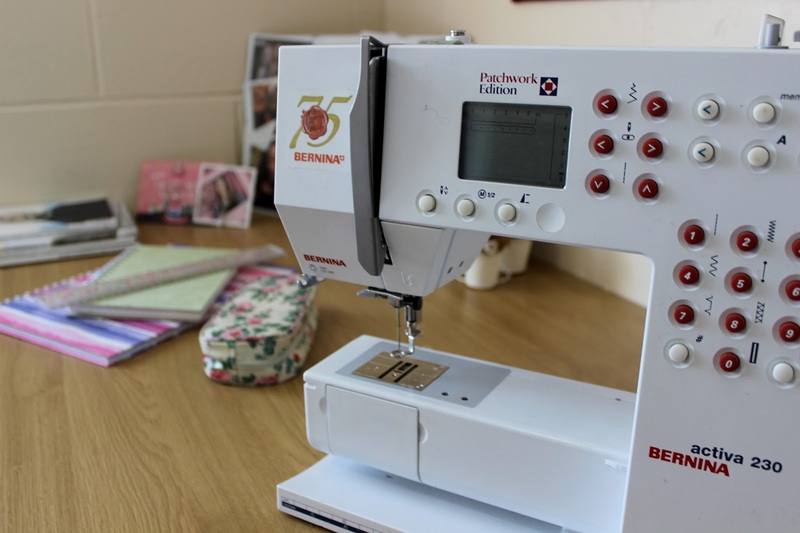 As a-level results day is creeping up I thought I would kick off a little uni series on my blog. 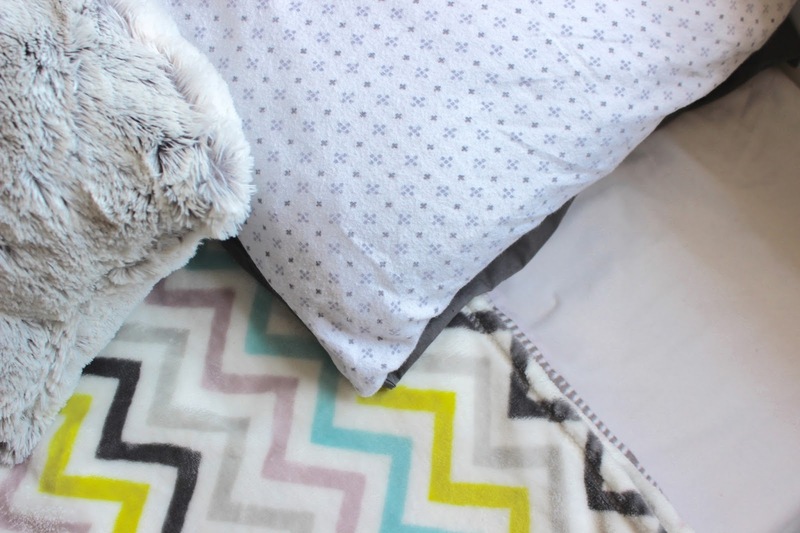 Last summer I remember being so excited, I wanted to buy homey things immediately after I left college. I patiently waited for results day but it still didn't stop me from planning. 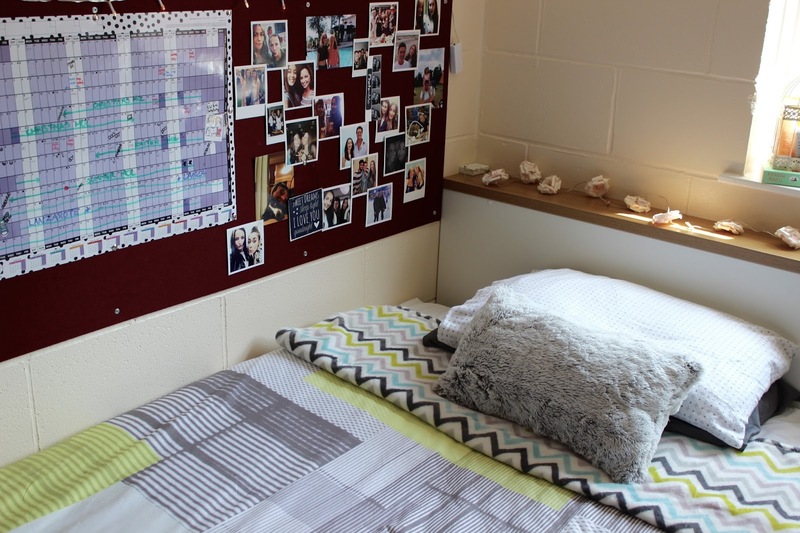 I've decided to give you a peek inside my first year accommodation at university. 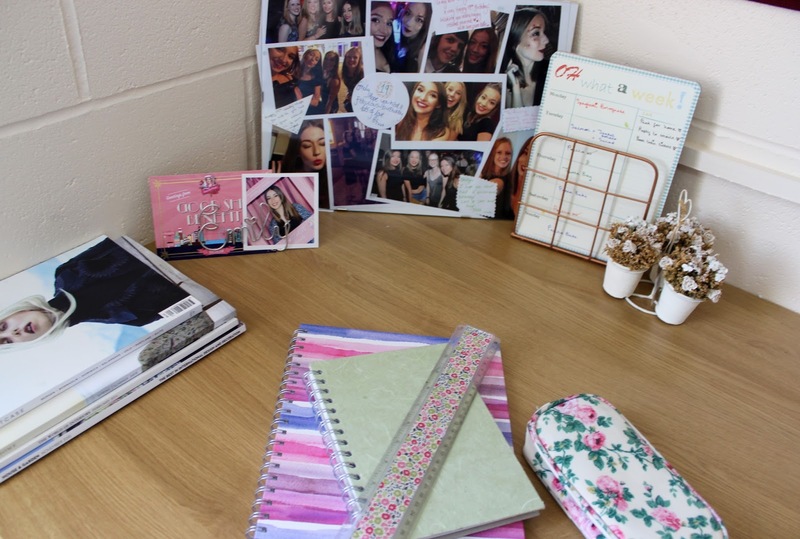 It can be a very daunting experience moving away from home but there are a few ways to still make your halls accommodation feel homely. 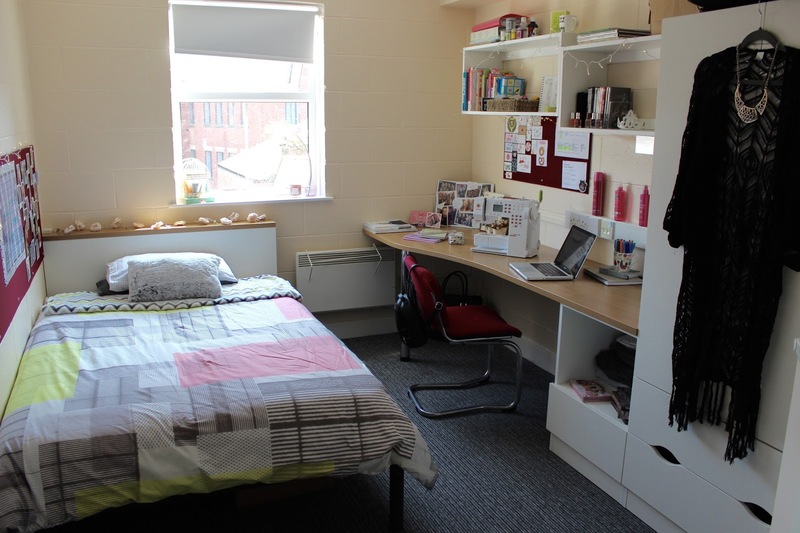 With my room I was lucky enough to have a 3/4 sized bed, desk, storage space, an ensuite and plenty of space for movement. 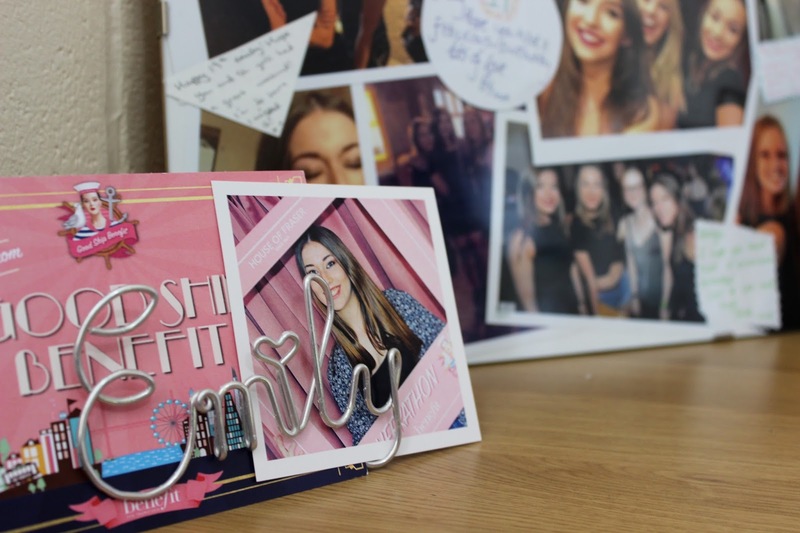 I chose to reflect my creative style in decorating my bedroom, allowing for plenty of colour and quirky little touches such as cute business cards and postcards! 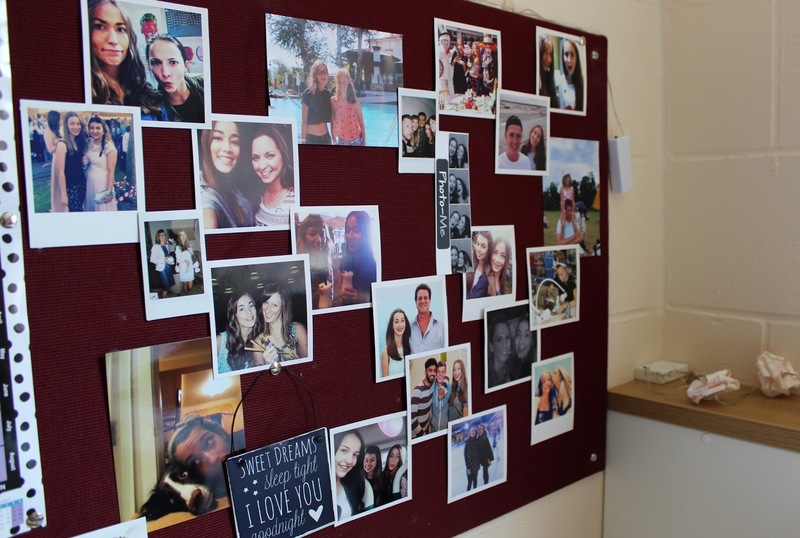 By my bed I kept a few photographs of friends and family, I'd say this is something that a lot of students like to do to remind them of old and new memories. 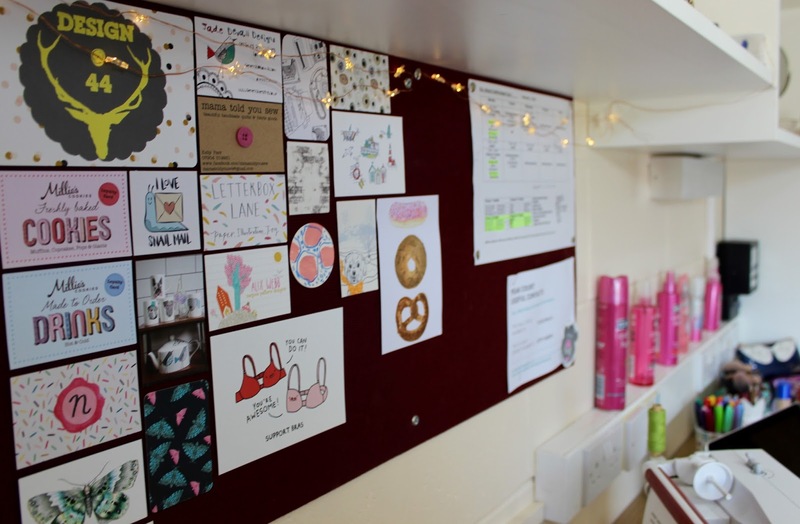 Cover your pinboards with anything and everything! 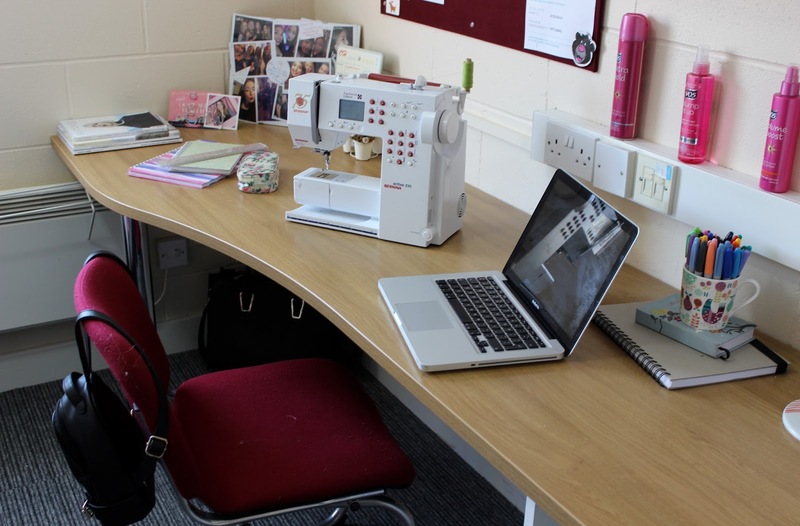 Here I kept my desk in two halves, a work half and a make up/beauty half. 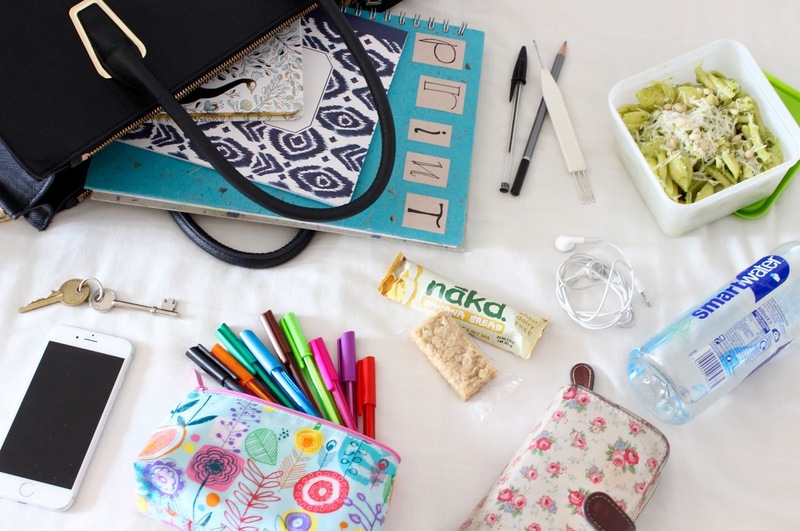 I'd like to say that my desk always looked like this but unfortunately I would be lying. My shelves I kept cluttered free and only stored the pieces I know I'd reach for on a daily basis such as perfumes or books. 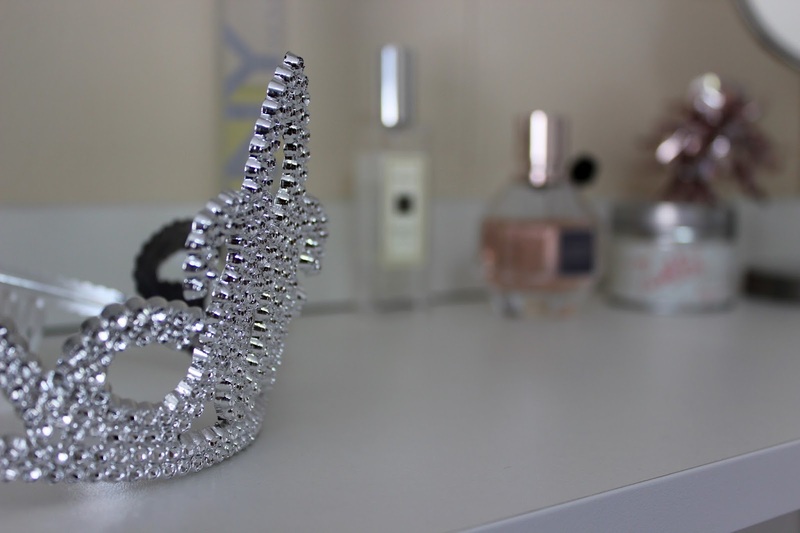 I also kept a few pieces from my birthday celebration with the flat girls, the tiara and the balloon weight really fitted in with my 'theme' but also reminded me of a fun night. Although I have many candles in my room, due to fire regulations I wasn't allowed to light them. 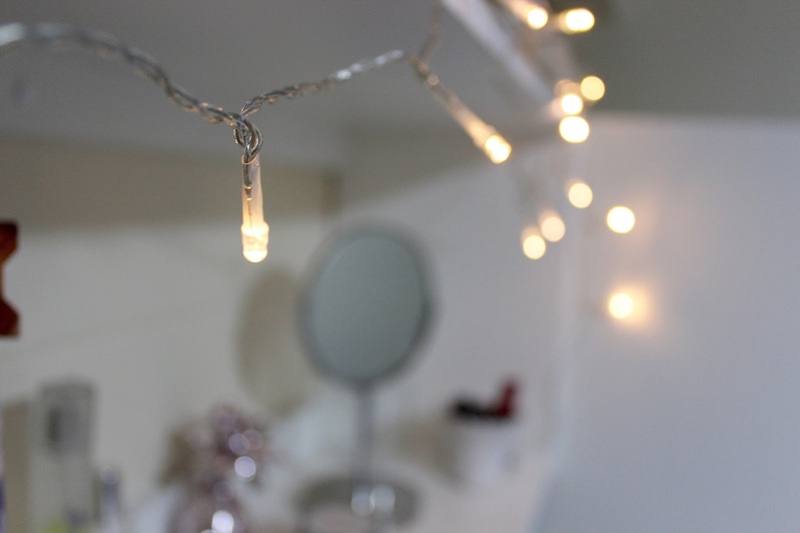 The key to good lighting is investing in plenty of fairy lights. As there are plug limitations, battery operated lights are the best. 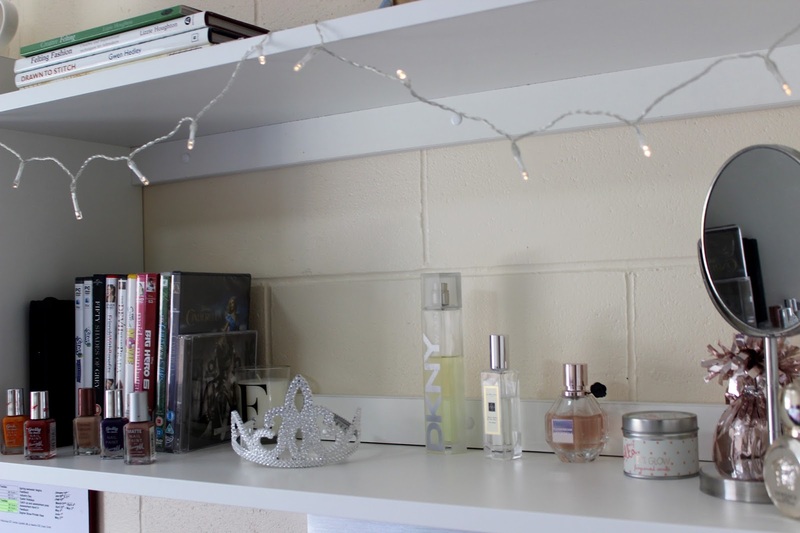 Of an evening I would switch all of my fairy lights on to create a tranquil atmosphere (so blogger!). Do let me know if there are any university based posts you'd be interested in reading and I'll get them ready for you! Just thought I'd give you a quick little update on some new things happening over here on Emily Jane. I've gone and upgraded my url so that it looks swish and professional. You can now find me at www.emilyjanewebb.co.uk. I've set up a Facebook page, it would be great if you could go over and give it a like! www.facebook.com/Emily.Jane.Webb.blog. From blog to Youtube, I've entered the video world. 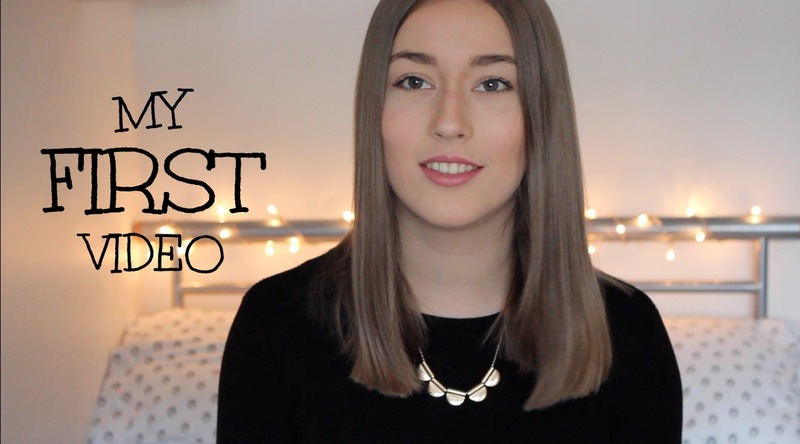 I've uploaded an introduction vid and I'm planning on sticking around to do more. Take a visit to my channel, don't forget to like and subscribe! P.S. I decided against the whole new template thing. It took me time to create what I've got here and I like that it is unique. Thanks for sticking around and being supportive! Have you ever thought of putting a giant slab of cake on top of a mason jar filled with chocolatey goodness? No? Well, Crème Cakes & Shakes certainly has! Recently my friend Kelly and I headed to Crème in Leigh on Sea for a catch up. We were instantly amazed by everyones shake orders as they were rapidly surrounding us. There were so much to choose from that we've already planned another trip. Crème serves an array of different treats such as; ordinary milkshakes, smoothies, light bites, and waffles. But lets face it, we were here for the amazing cake shakes. After much deliberation, I opted for the Malteaser cake shake whilst Kelly went for the Mint chocolate. We literally did not know how to tackle it. The cake slice was so overwhelming, I just couldn't get past it, everyone else made it look so easy! We'll master it next time. 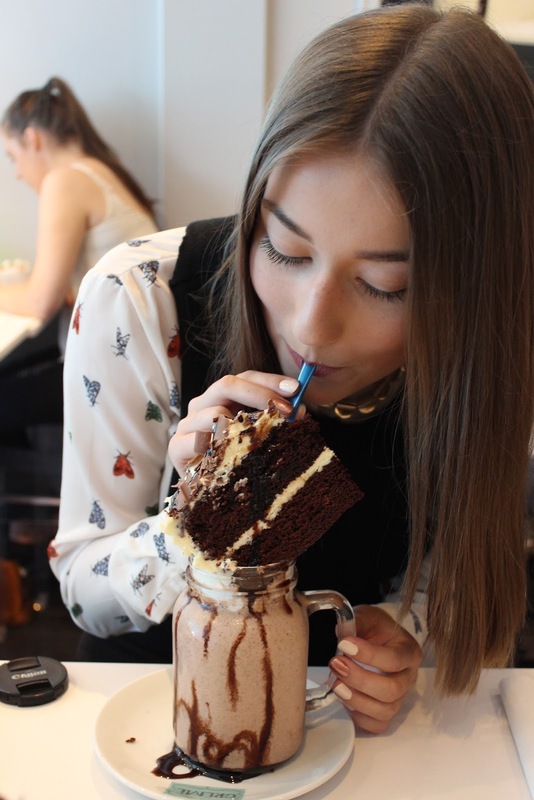 Strangely, neither of us are big fans of chocolate milkshakes but this certainly swayed us. Once you demolish the cake slice, you'll find that the actual drink is also filled with cake crumbs, making it so delicious! I have to admit, the shakes defeated us both. We couldn't finish them but we gave it a good try. I can see why they offer smoothies now, I needed something nutritious after that! Find Crèmes menu on their Facebook page here. Cheeky tip, whilst at Crèmes take an Insta snap and hashtag #cremeleigh for 10% off the bill! Prepare for yourselves for a whole lotta pink. Recently I was invited to The Good Ship Benefit to celebrate the launch of the Cheekathon palette. Considering I'm not a big fan of boats, I still jumped at the chance. 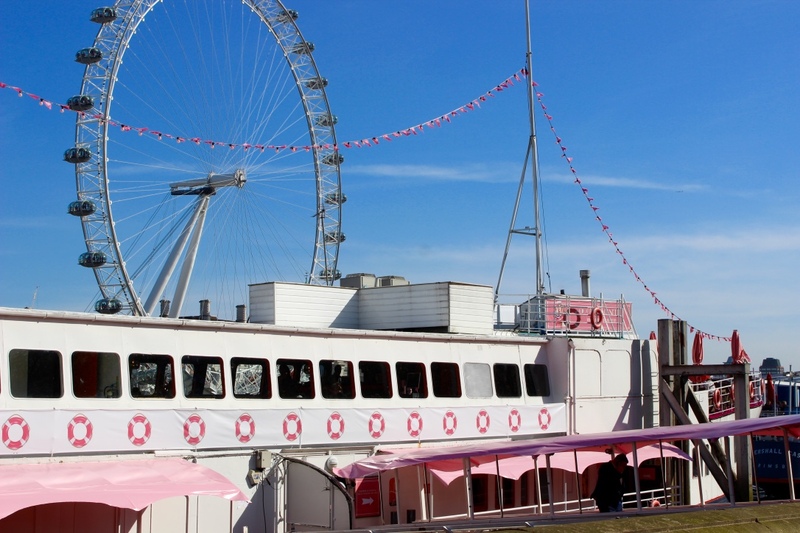 The Good Ship Benefit can be found alongside the London Embankment at R.S. Hispaniola, and shows amazing views of all the landmarks along the Thames. Benefit have virtually transformed the entire ship so that every deck screams glamour. 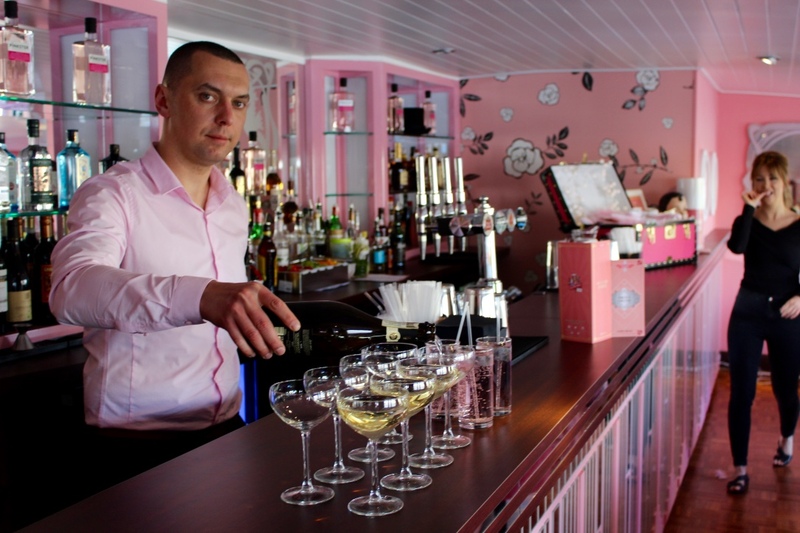 The ship is the perfect location for a great day out, you can enjoy a few cocktails, afternoon tea, as well as an a la carte dining experience inside or outside on the decks. Benefit are always hosting events on board the ship, so why not get you and a few friends together to enjoy a yoga experience? If not there are of course an array of beauty treatments for you to enjoy. 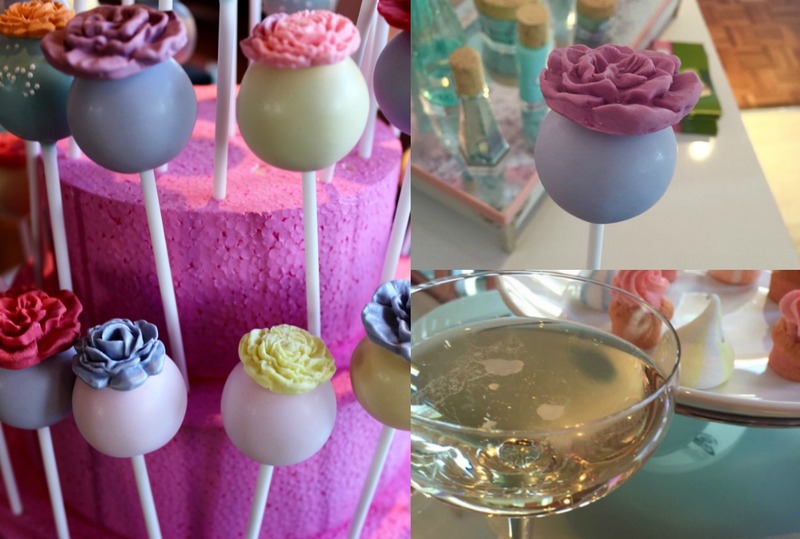 Whilst munching on cake pops and macarons, we were all shown a demo of a natural Spring/Summer make up look using the cheekathon palette (see my review HERE). All guests were allowed to try out any products they wished as well as receive eyebrow treatment. I was so pleased to get my eyebrows shaped, I've always done them myself so I was very reluctant to stand in line. Now after having them done, and having a little lesson on how to fill them, I finally know what I'm doing! 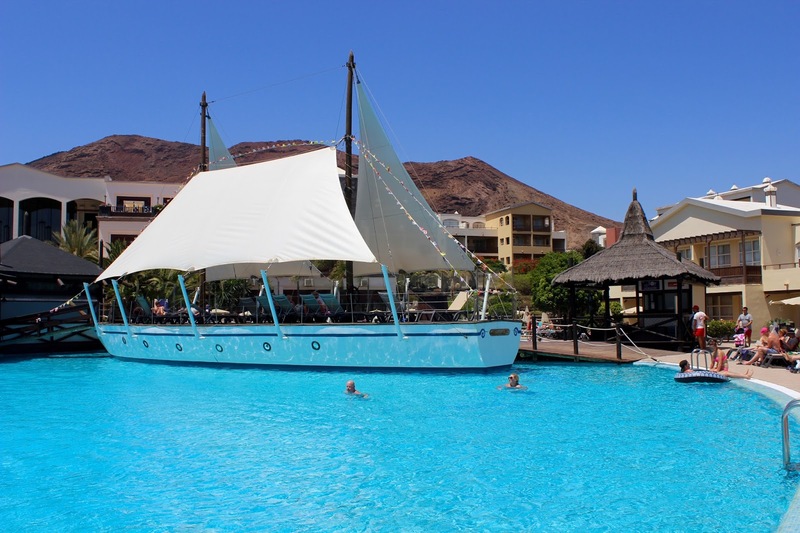 The Good Ship Benefit is open till 31st August 2016, I highly recommend taking a visit throughout the summer months as it's such a beautiful location. 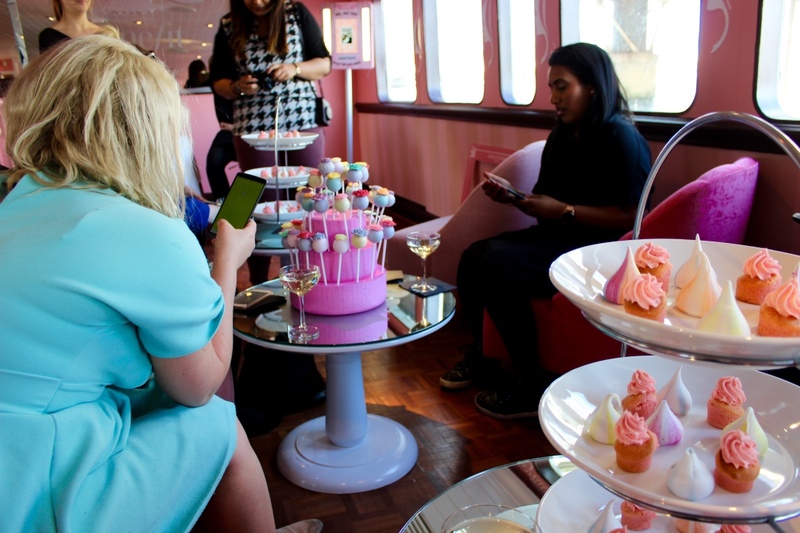 There are 5 lounges for you to explore including; Pinkton Parlour, Lashitude at the Upper Deck, Porefessional Vault, Brow Lounge and the Hoola Decks. Every room is gorgeous, I cannot wait to come again. Shout out to the lads: if you take your gal here you're in for a winner! 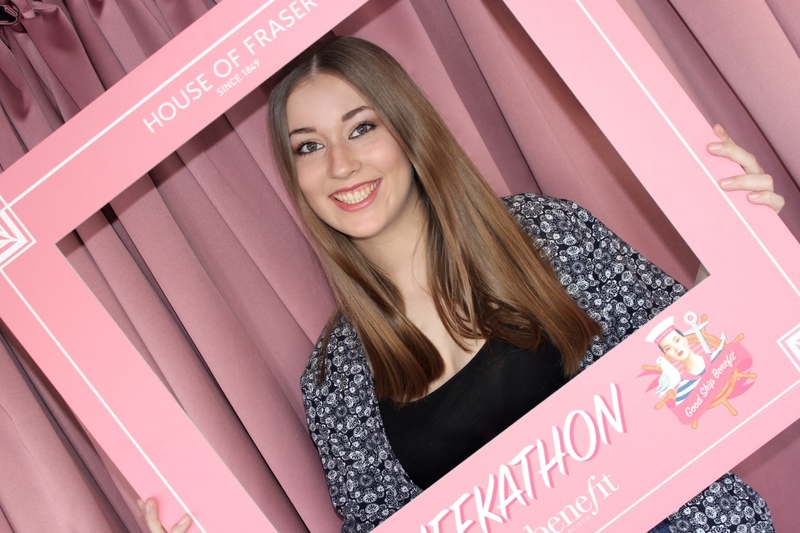 A huge thank you to House of Fraser and Benefit Cosmetics for inviting me to such an amazing event. 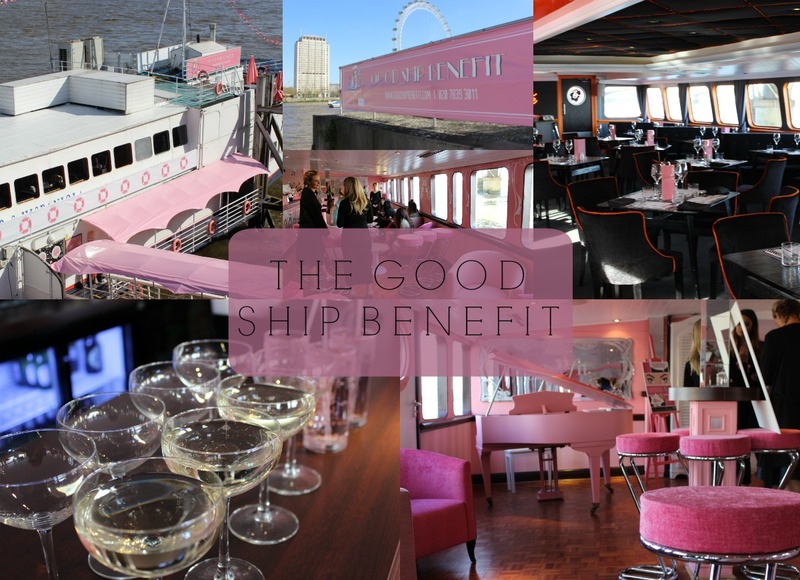 Will you be visiting the Good Ship Benefit?